If you or a loved one has been injured due to the negligence or misconduct of others, contact a personal injury attorney immediately. 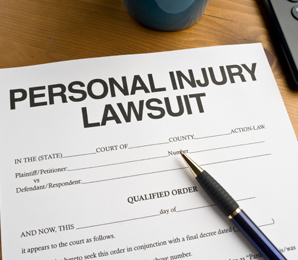 At the Law Office of Leslie A. Williams, we take our personal injury and all other cases very seriously and will fight to insure the party at fault is held responsible for any reckless or negligent act. We will focus on your needs, working with insurance companies and claims to ensure you receive fair, accurate information. 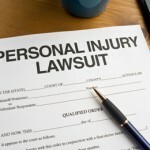 Personal Injury Lawyer Call Leslie A. Williams in Blue Springs to get the representation you deserve. Whether you’ve suffered injury from a car accident, workplace accident or other accident due to the negligence of another party, the Law Office of Leslie A. Williams is ready to fight on your behalf. We understand that no two cases are alike and will thoroughly assess all legal options available to you and your unique situation. No matter how complex your case, we are dedicated to ensuring you receive the time and compensation you deserve. The Law Office of Leslie A. Williams will gather evidence, review the facts of your case and determine if you are eligible to receive compensation for your pain, lost wages, medical expenses or other losses. If you’re ready to talk to a personal injury attorney about your case, come into the office in Blue Springs, use our web submission form, or give us a call at (816) 533-4331.